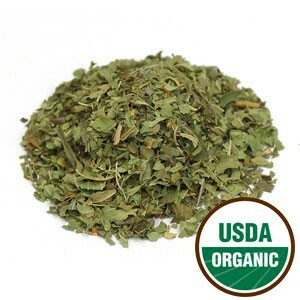 Lemon verbena tea is a wonderful tea made from an herb with a zesty aroma and flavor. Its healing powers have been known for centuries now making this tea a great addition to any home remedy collection. From dealing with stomach problems to bringing down a fever, this herbal tea could really be helpful around the house. And considering how easy it is to make, it's no wonder why people love to drink a cup or two just for its lovely flavor. Come and let's have a cup of this citrusy tonic! Lemon verbena is a perennial shrub native to western South America, in particular Argentina, Brazil, Peru and Paraguay. This herb goes a few Latin names: lippia citriodora, aloysia citriodora and aloysia triphylla. It is also known by other common names such as cedrón, lemon beebrush, lemon Luisa, herb Louisa among others. The scientific name aloysa and common names Louisa/Luisa are a reference to the wife of King Charles IV of Spain, Maria Luisa. As for citriodora, it is a reference to the citrus aroma that the herb has, whereas the present denomination triphylla refers to the three-leaves whorls. Lemon verbena is a shrub that can grow as high as 2-3 meters with thin lance-shaped pointed leaves that are 8cm long, glossy and dark green. If you crush a leaf with your fingers, it will leave a lovely lemony aroma. The plant blooms tiny little white or lilac flowers in last months of spring or early summer. In the winter, the plant loses all its leaves, so if you are lucky to have a pot of this herb, consider preserving the leaves for brewing a cup of tea during the cold season. Prune your herb during the cold months to help it sprout back in spring. Native to South America, this plant was only brought to the attention of the Europeans when Spanish explorers brought it back with them in the 17th century. It was then widely used both as a culinary herb and as a home remedy to treat digestive problems or bring down fevers. Its potential in perfume industry drove the commercial cultivation of this plant in Europe, particularly in France in the 18th century. Today, in its native land of South America lemon verbena may be found growing on the sides of the road. Additionally, people will often plant this aromatic bush in gardens as a form of landscaping or even as a natural insecticide. Potted lemon verbena may not grow as tall, but it is still pretty and adds a lemony scent to any home. It is still used in the perfume and cosmetic industries, as its essential oil provides the ideal citrus scent to many products. It has made its way into the world of aromatherapy. As a culinary herb, many cultures have since adopted lemon verbena to add flavor to fish and poultry dishes, as well as dressings for regular or fruit salads, desserts and beverages, often as a replacement for actual lemon. Many people also continue to use lemon verbena to brew a pot of tea either for its wonderful flavor and citrusy aroma, or for its health benefits. Lemon verbena makes an infusion that is rich in antioxidants and flavonoids, eucalyptol and an essential oil known as citral, which is responsible for its citrus smell and aroma. It contains verbascoside, an important chemical that protects the body with its antioxidant activity. Aromatic and protective, this tea may produce a number of benefits for your health. The most important and well-known benefit of lemon verbena tea is possibly how it may help improve your digestion. It is said that drinking this tea after a meal may help reduce indigestion and heartburn. It may also help to fight bacteria that may be causing you to have digestive problems. This herbal tea may help calm your stomach, allowing to better digest your meals, relieving any stomach spasms. It also has a calming nature when your digestive issues are caused by nervousness. A cup of lemon verbena tea may also have cleansing effects on the intestines, removing harmful bacteria that could be causing issues like diarrhea or colic. At the same time, this herbal infusion may bring relief when you are suffering from constipation, painful intestinal cramps and bloating. It could reduce colon spams and flatulence. A healthy digestive tract could pave the way to weight loss and fight obesity. Lemon verbena tea contains polyphenols and antioxidants that help to boost your metabolic rate. With a healthy digestive tract, your body will be better at eliminating toxic wastes and burning excessive fats. Drinking this tea could also help balance your digestive system, regulating your appetite reducing those cravings that undermine your efforts to keep your weight in check. Lemon verbena tea may help to relieve stress. It is said to calm the mind and body and soothe the nervous system. If you suffer from chronic stress and anxiety this tea may be a good start to help keep you balanced. For more serious situations, you should consider seeking help from a doctor. This herbal infusion may alleviate tension and allow your nervous system to regain its strength, helping you to better deal with stressful situations. 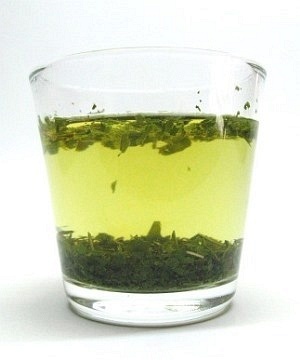 If you are having problems sleeping, suffering from insomnia, then try drinking a cup of lemon verbena tea at night. It may help your body to decompress and feel calm and relaxed enough for you to fall asleep and get the rest you need. The balancing nature of this tea may be useful to promote healthy hormonal levels. This could be helpful in many ways for women, as it may help regulate the menstrual cycle while offering relief from PMS and other mood swings. When you catch a cold, drinking a cup of lemon verbena tea may be not only soothing but helpful for your respiratory tract. It is said to relieve congestion, expelling phlegm and mucous from your lungs and throat. This should allow you to breathe better and stop coughing so much. Lemon verbena infusions are said to fight the bacteria that are stopping you from breathing well. It is considered anti-inflammatory and anti-spasmodic, so may help keep your lungs healthy and strong when fighting colds or simply in the case of other respiratory problems such as asthma. If you have a temperature, then this tea may help to break a fever, making your body to expel the toxins that are making you sick and bring your temperature down. It is said to speed up the healing process of an inflammatory disease. Drinking this herbal tea may not only help to treat an illness, but it may also help prevent future issues. This herb is said to help strengthen your immune system when everyday life may be causing you to feel weak and sick all the time. The antioxidant levels in this tea may help to clear away the toxins in your body. By relieving oxidative stress from your body, lemon verbena could rejuvenate the body. An infusion of lemon verbena may offer the help you need to fight candida albicans or E coli. The antibacterial and antimicrobial powers of this herb could give you a head start when fighting disease, but you should talk to a doctor as soon as possible. The sedative powers of lemon verbena tea apply not only to the mind, but to the body as well. If you are an avid fan of jogging and exercising you could use something to help recover your strength quicker. As you will find out, this infusion can be made into a great iced tea, so you can drink it while you are working out. Its antioxidant content helps to lessen the potential damage to your muscles as you exercise. It may also bring relief when you overdo it and feel muscular fatigue or inflammation. Lemon verbena tea may also provide you with strength and relief when you suffer from joint pain or rheumatoid arthritis. The anti-inflammatory and antioxidant action in this tea is said to clear away toxins and fluids that could be the source of pain and reduced mobility. There may be also hope for those who suffer from multiple sclerosis. Drinking this tea may help reduce the inflammation that could be behind your worsening situation. Talk to your doctor about drinking this tea and ask for help to monitor your progress and adjust your medication accordingly. The antibacterial and antimicrobial properties of this tea may also be useful when it is applied topically. It may help speed up the healing of wounds and other skin conditions, such as acne. Applying a cooled lemon verbena infusion could calm itchy skin and provide a toning effect, cleansing the skin. Used with care, it could be applied over the eyes with a cotton ball to reduce puffiness. You may also use this tea as a scented hair rinse. There may be a chance that it could help cleanse the scalp ridding it of bacteria and lice. As healthy as lemon verbena tea may be, there is always some care that you should take when drinking teas medicinally. You can start by reading about potential side effects of this herbal tea to make sure that it right for you. Lemon verbena tea is generally considered safe; it is when people overindulge by drinking too much of this tea, or making it very strong, that side effects like nausea or vomiting could occur. Too much of this tea may also be harmful to your kidneys leading to possible stones appearing. If you have a tendency to for inflammation or kidney stones, then you should be cautious when drinking this tea. This herb may cause skin irritation or mild dermatitis in some people. If you experience this, it may be a sign that you are having an allergic reaction. Stop using this herb immediately and go to the doctor if the symptoms don't subside. Always apply herbal infusions on small areas of your skin to test for this. Another sign of a bad reaction to lemon verbena applied topically is increased sensitivity to light. Again, it is better to stop using this tea and put on sun blocker. If you are pregnant or breastfeeding, then it is best not to drink this tea medicinally. There aren't enough studies done to prove that this tea is completely safe for you or your baby at these stages. Talk to your doctor or just simply go without this tea for the time being. If you suffer from kidney disease and not just have a tendency for it, then it is best to avoid this herbal tea altogether. 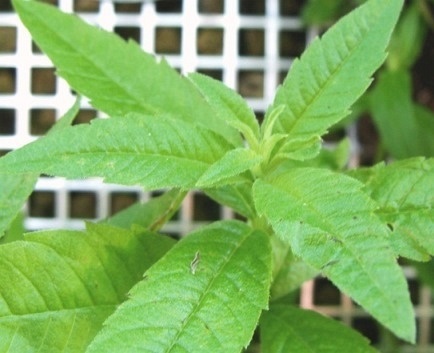 Lemon verbena contains elements that could make your condition even worse. Now it's time to learn how to make lemon verbena tea and enjoy a zesty cup of tea. 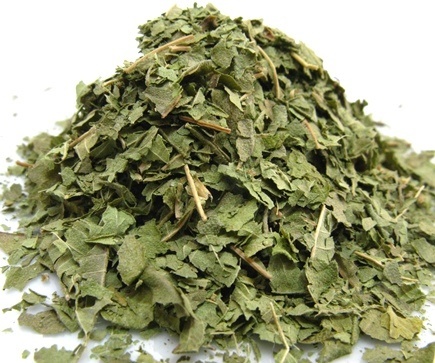 Lemon verbena tea may be made using leaves and flowers of the lemon verbena bush, either fresh or dried. Fresh leaves are said to be better to make this herbal tea than the dried material. Let's take a look at a quick recipe for a nice and soothing cup of tea. Start by bringing water to a boil. In a teapot place either 2 teaspoons of dried lemon verbena leaves or 1/4 cup of fresh leaves, this is about 5 leaves or so, per cup of water your teapot holds. Chopping up the leaves will allow for a better release of aromas, flavors and medicinal compounds into the hot water. Pour boiling water over the lemon verbena and let it steep for 5 to 10 minutes. The longer the tea steeps the stronger the infusion will be. If the tea gets a grassy taste you may want to reduce steeping time. Strain the tea into a tea cup in order to stop the infusion. Now sip your tea: the intended flavor is a pleasant zingy, citrusy one. If you need to, add a bit of honey to sweeten your beverage and enjoy it while it is hot. To help improve your digestion, drink a cup of this tea after the two main meals of the day. This should get your stomach working properly and reduce the risk of indigestion after a big meal. That was easy, wasn't it? Now let's take a look at a few ideas that can take your lemon verbena tea to the next level. 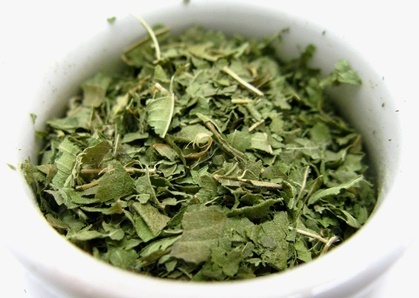 Lemon verbena is a great herb to blend with other similar tasting infusions such as lemongrass or lemon balm tea. 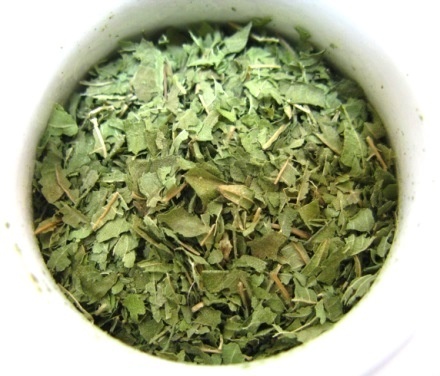 Another favorite herbal blend is peppermint and lemon verbena in equal parts. The resulting infusion is zesty and refreshing. Just remember that when making herbal blends you have to adjust the amount of each herb. In this case you are replacing half the amount of lemon verbena with mint. Linden or chamomile may also be good options to blend with this herb if you are trying to create a relaxing infusion to calm the nerves and help you sleep better at night. Brew a stronger tea with double the amount of lemon verbena leaves and then pour it over ice to enjoy a zesty and refreshing drink that is perfect for a hot summer's day. If you have a garden or a balcony you can try growing lemon verbena in pots. Once you harvest the leaves, you should consider drying them to better preserve them and keep them in a jar for use at a later time. Buy Your Lemon Verbena Tea Today! Click on the image or on the link below to purchase from Starwest Botanicals your Organic Lemon Verbena. Make a delicious cup of tea that you can enjoy at any time of the day! Or brew a healing infusion to drink after your meals and feel its soothing nature calm your mind and your troubled stomach. Buy your Lemon Verbena tea! Clean out a space in your pantry for this herb. It makes not only a great tasting tea that you can enjoy just for its zesty flavor but for its medicinal properties. Have a nice cup of tea! Do you have a question? Then feel free to Contact Us! And don’t forget to follow us on Facebook or Google+ to receive updates, photos and interesting tips and news! Follow us also on Pinterest! Drinking a cup of east frisian tea is a wonderful experience, one that is best enjoyed in East Frisia. 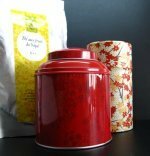 Tea Storage - How to make your tea last longer! Tea storage is very important if you want your teas to last longer and maintain not only their wonderful flavors, but also their medicinal properties. 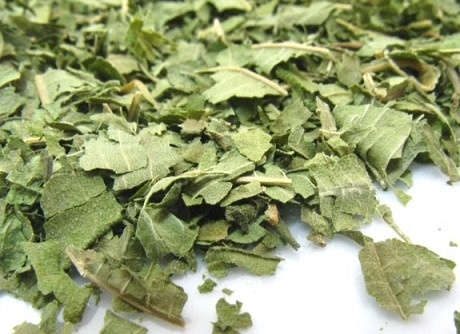 Gotu kola tea is made from the fresh or dried leaves of what is called the longevity herb. Visit The Right Tea's profile on Pinterest. ...or take your tea with you everywhere! Disclaimer: Please consult with your doctor before taking any products presented. This site is for informational purposes only.